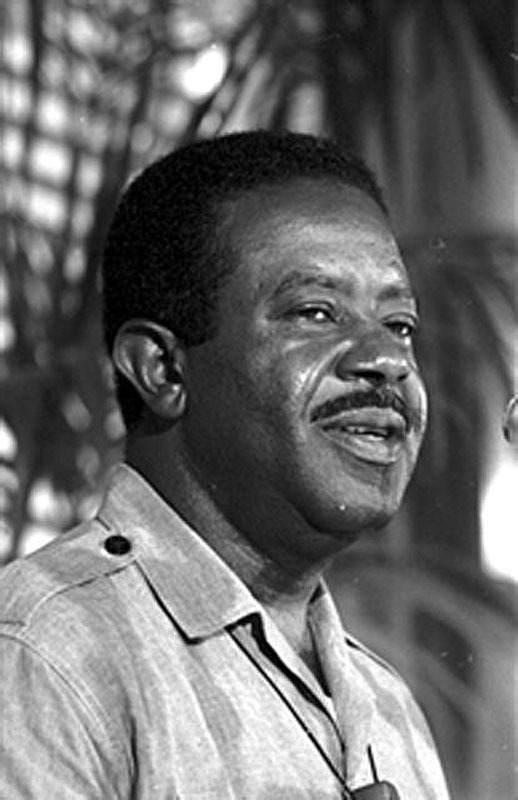 Ralph Abernathy, “Ralph Abernathy,” Histories of the National Mall, accessed April 23, 2019, http://mallhistory.org/items/show/98. Abernathy was a civil rights activist and close advisor to Dr. Martin Luther King Jr. Abernathy helped to organize the 1963 March on Washington for Jobs and Freedom. After King's assassination, Abernathy led the 1968 Poor People's Campaign in Washington, DC that fought for economic justice for the poorest Americans. Protesters occupied the Mall for 6 weeks in small huts near the Washington Monument, known as Resurrection City, until late June when the group was removed by police. Ralph David Abernathy grew up on his parents’ farm in Alabama. His father was active in the community, and one of the first black men in the county to vote and serve on a jury. Ralph was drafted in 1944, but arrived in Europe just as Germany surrendered. On his return to the United States, he attended Alabama State College. After graduating in 1950, he pursued a calling in Baptist church, becoming the full-time pastor at First Baptist Church in Montgomery Alabama, in 1952. In 1958, he completed his masters degree in Sociology. Abernathy was a friend and colleague of Dr. Martin Luther King Jr. Together, they helped organized the Montgomery bus boycotts. He co-founded the Southern Christian Leadership Conference, working closely with King on civil rights issues. He assumed presidency of SCLC after King's assassination in 1968. Abernathy survived numerous beatings, nineteen arrests, and jail time for his activism. As pastor of West Hunter Street Baptist Church in Atlanta (1961-1990), he continued his activism until his death at the age of 64.